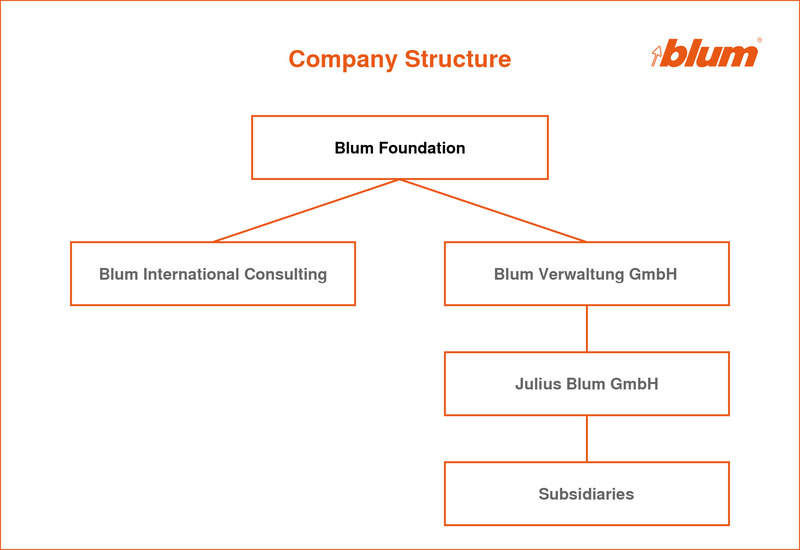 We are a business unit of the private Blum Foundation and are fully aligned to the values of Blum. We act as a sparring partner for all issues related to personnel and organizational development within the international Blum Group and help identify and actively shape change. According to the purpose of the Foundation: “…the company shall be safeguarded for employees in the long term …” This humanitarian approach constitutes the basis of our development tasks. Even today, we firmly believe that personnel development is one of the most important leadership tasks. We attach great importance to placing employees in positions that play to their strengths and aim to make the most of their different qualities through good cooperation. When we take off our “orange-colored spectacles” we increase our awareness of external issues and learn from them. That is why we also provide targeted consulting services to customers outside the Blum Group. Our customers are glad to benefit from our know-how and the practical insights we have gained through cooperation with Blum – a company that operates on an international scale. We speak of joint success when different input leads to new perspectives.